Things are getting cozy at Devil's Den with the annual fireplace lighting ceremony. South Philly's Devil's Den is getting ready for the cozy winter months ahead and marking the start of the season with its annual fireplace lighting party. 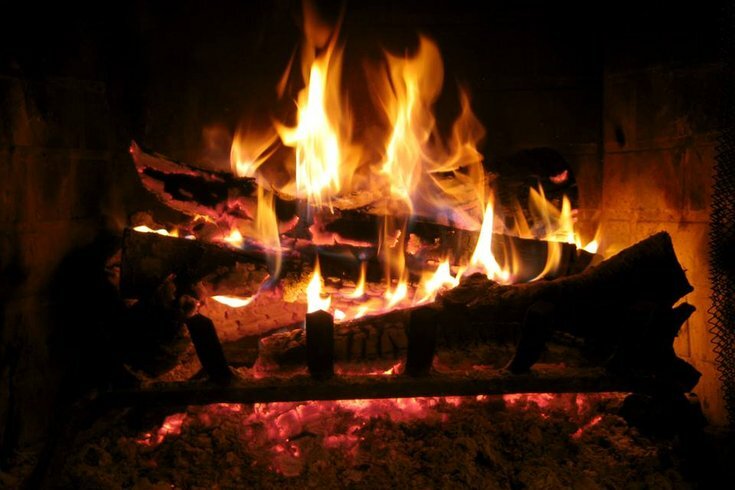 The gastropub's beloved double-sided fireplace will be lit up this weekend by Devil's Den owner Erin Wallace, launching a day-long party of food and drink specials for brunch and dinner. Brunch will be served through 3 p.m., including some ideal hibernation dishes like short rib hash and eggs diablo. For dinner there will be more winter specials, including a braised pork shank and flaming hot calamari. Devil's Den will also focus on new seasonal drafts and cocktails this Saturday. There are no less than seven seasonal cocktails on the menu, including cranberry apple sangria, hot cider and an apple brandy champagne. For beer, there are six drafts, including the Captain Lawrence Golden Delicious – an apple brandy barrel-aged triple. See full drink special menus below. Festivities begin Saturday, Dec. 1 at 10:30 a.m. and last through closing at 2 a.m.